Belmont Ford Diesel Service and Repair - 5 Star Auto Service Inc.
5 Star Auto Service is the go-to auto repair shop for Ford diesel in Belmont and the surrounding communities. We are a facility founded on hard work and determination, and we won’t give up until your Ford diesel is running in pristine condition. Our warranty is also a testament to the quality and reliability of our auto repair. 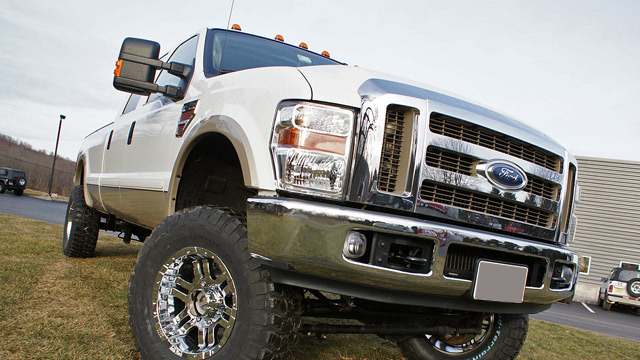 We continue to go out of our way for your clients, Ford diesel owners included. We want to help you and your family any way we can if that means shuttling you to that soccer game or that early morning meeting when your car is in the shop. We keep track of the little stuff, marking down even the smallest detail in your Ford’s diesel engine. Our meticulous approach results in accurate auto repair. For an auto repair shop that is the embodiment of the American Dream, hard work and determination, turn to 5 Star Auto Service. Bring your vehicle to our auto technicians and we will go that extra mile to properly service and repair your car, even performing a safety check and offering you shuttle service within the vicinity of Belmont. Schedule an appointment online for Ford diesel service, or stop by our shop at 1444 El Camino Real, Belmont, CA 94002.